Almond Paste — What the Fruitcake?! Almond paste used in this cake. It doesn't look like much, but this cake is gorgeous! Almond paste. What's so great about it that I need to have a recipe for it on my site? With almond paste you can make the best almond cake I've ever eaten. That's what. If you're in the States and you're reading this, you're probably wondering why I'd need a recipe for almond paste 'cause I could just buy it in a can. You can buy it, I can't. I have yet to find almond paste anywhere in Ireland, and as far as I know, it's not even readily available in the UK, SA or a good portion of Europe. I could order it online, but honestly, it's so easy to make I'll save the expense and time of waiting for it to arrive, 'cause by the time it was delivered, I'd already be eating the last slice of that gorgeous almond cake that I made with my homemade almond paste. I think I need to say this again, almond paste (pâte d'amandes) and marzipan are not the same. Almond paste is made of equal amounts of ground almonds and sugar, whereas marzipan has far more sugar. 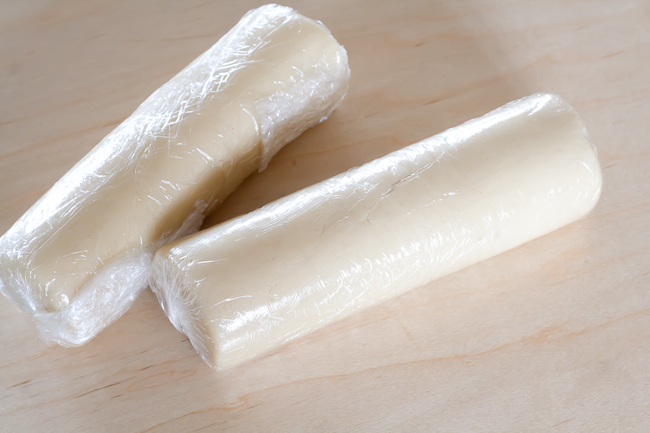 Almond paste is bound together with egg white or glucose syrup, but the ingredients for marzipan are cooked together to make the mouldable paste. Marzipan is far sweeter, more pliable and used for covering cakes or making confectionaries, but almond paste is also used as an ingredient. 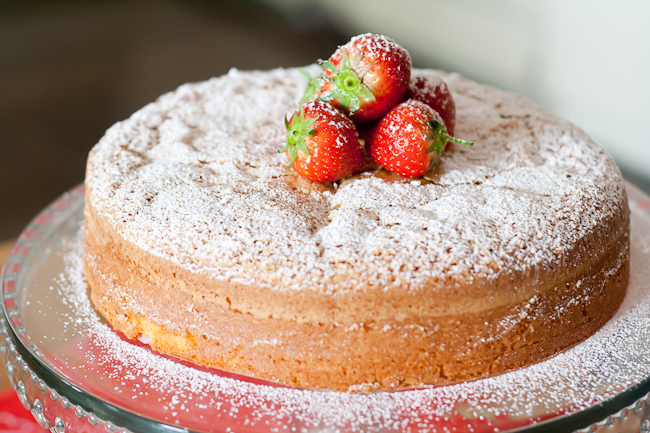 So if you're think of trying out the almond cake linked here (and you'd better!) then, no, you can't substitute marzipan. Now, about that almond cake. I'm not joking when I say that it rivals my love for carrot cake. And I LOVE carrot cake. It's dense, moist, soooo buttery, not too sweet, perfect for a snack with a cup of coffee or served as a dessert after a good meal. It needs no frosting, just a light dusting of powdered sugar and maybe some fresh berries as garnish. My husband is in love with this cake too. This recipe for almond paste will take you one step closer to almond cake. Yes, I love it that much. Oh, last note. I have yet to try commercially bought almond paste, but I believe that this homemade version will probably have a slightly rougher texture due to the fact that it's not been made by industrial machinery, regardless, there's nothing unpleasant about the slightly rougher texture in the almond cake. I dare say you wouldn't even notice the difference, but when I do get my hands on the bought stuff, I'll be able to do a proper comparison. If you can't buy already ground almonds, then you can grind your own blanched almonds in a food processor or coffee grinder. 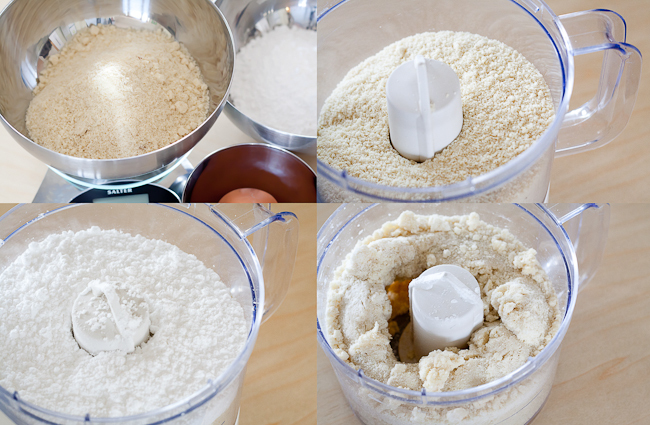 If you don't have a food processor, you could also do this in a stand mixer with the dough hook attachment. The amount of paste this makes is enough for 2 almond cake recipes, so if you'd prefer to only make enough for 1 cake recipe, weigh the egg white and then divide it in 2 by weight, spooning half of it into another container. Avoid using cheap almond "essence". Almond extract is pure almond oil and not only does it have a far superior flavour, it also doesn't have any added chemicals. A drop of almond extract goes a long way, so it's worth paying for a really good quality one. Almond paste can be used to make confectionaries, try adding different flavoured oils or extracts like peppermint, rose or orange. Also cocoa or matcha tea. Posted on August 25, 2011 by Mandy Mortimer and filed under Ingredient, No Bake, Sweet and tagged Almond Almond Paste pate d'amandes.